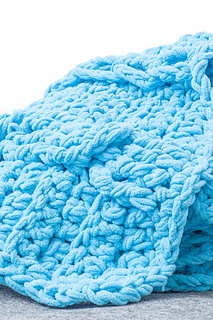 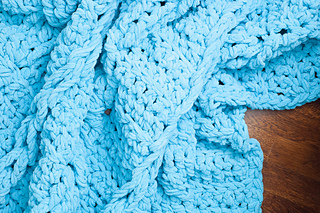 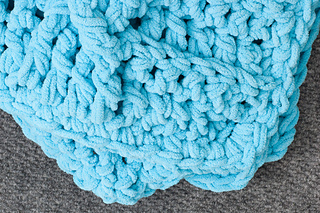 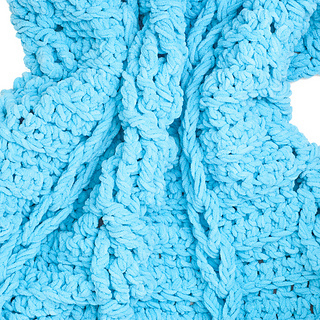 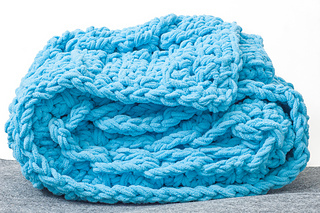 Crochet a chunky throw with braids and twisted cables. 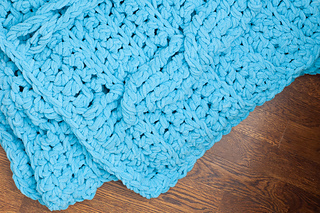 This crochet pattern uses two strands of Bernat Blanket yarn and a 25 mm hook to create a squishy, snuggly blanket that’s the perfect gift for a wedding or baby shower. 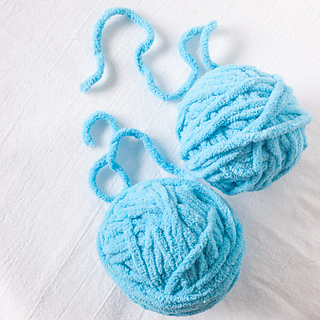 The pattern is available for free on the You Should Craft blog, or an ad-free printable PDF can be purchased from Ravelry.